Our company is market leader with its digital newspaper products. We were the first ones in the country who made available for the readers the Jurnal Bihorean in PDF format. Later we have implemented a newer version of the digital newspaper, the actual one, which has got a structure that is similar to the printed paper, each article can be accessed and it is easier to read. The continuous development of this service helped us create the most modern and interactive digital newspaper, accessed by thousands of readers from Central and Eastern Europe, and the number of readers grows each day. Of course, the www.jurnalbihorean.ro webpage is mobile friendly, it can be read easily on every device (smart phone, tablet, laptop, desktop) and the application can be downloaded for free, where our subscribers, besides the newspaper, can access the additions and magazines of the respective newspaper. With the downloaded free application our subscribers have the possibility to download the newspaper editions and access later, even offline, without Internet connection the most important news of the Jurnal Bihorean newspaper. The application can be downloaded onto the devices with Android or iOS operation systems. 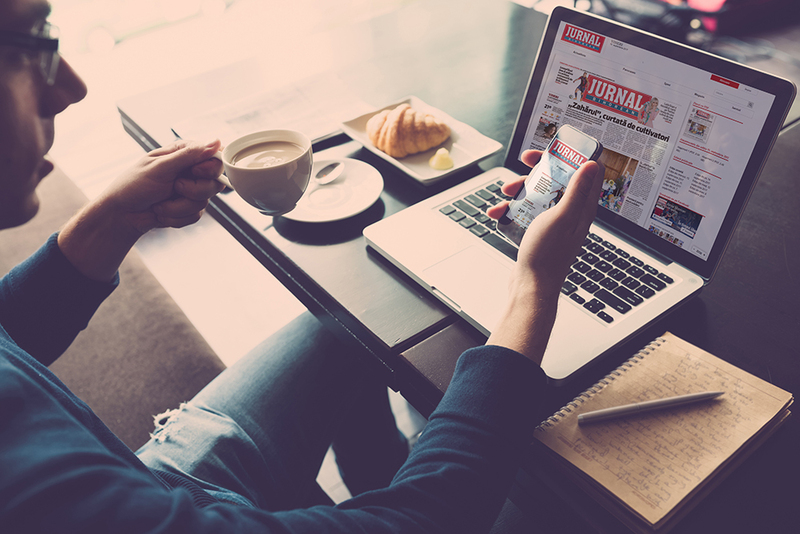 In the country only the newspapers of the Inform Media family have evening editions, which can be accessed from the www.jurnalbihorean.ro webpage or from the application, where our subscribers can see the latest news of the next day.